Location: It is located at third floor of Jem. I have friend who used to work in Sushi Tei. It is my first time eating at Sushi Tei though it has been in Singapore for a long time. The queue was quite long when my friends arrived at 6:10pm. We only got our table after 50 minutes of waiting. 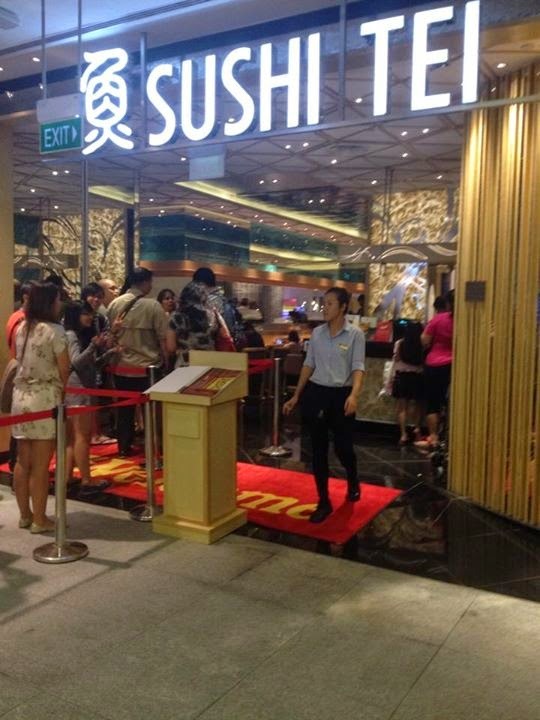 When we entered the Sushi Tei, it looks really grand. Our seatings are deep inside the restaurant cut away from noisy crowd. It is really peaceful and comfortable inside which is good place to meet up with friends. Right after we are seated, the waitress straight away came to serve us and ask whether we need any drinks. As I used to work in F&B, I feel their service is really good. Customers usually take some time to order food so it is always good to have our drinks ordered first. Even when they are serving the hot teas, they also remind us to be careful. Really thoughtful of them too. They also mentioned the food name and constantly reminding us about the "hot" food served. I really like their service. 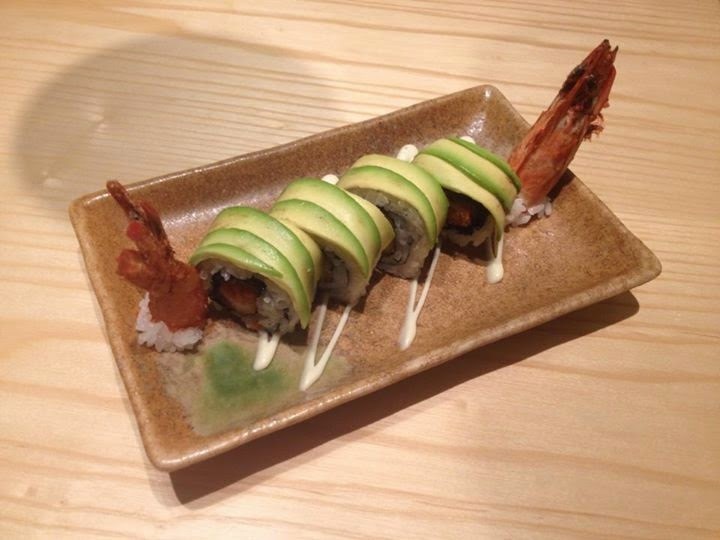 Mini Dragon Roll which my friend ordered. It is actually sushi with unique design Somehow the colors don't really match well and it does not look appealing to me. Although I did not try it, my friend mentioned that it is quite delicious. Sushi Tei is always famous for sushi. I shall try sushi next time. Ebi & Yasai Tem! I feel the staff are really quite thoughtful as they cut into 4 pieces just nice for each of us. It look like prawn pancake which can be found in pasar malam but the portion is actually quite small. 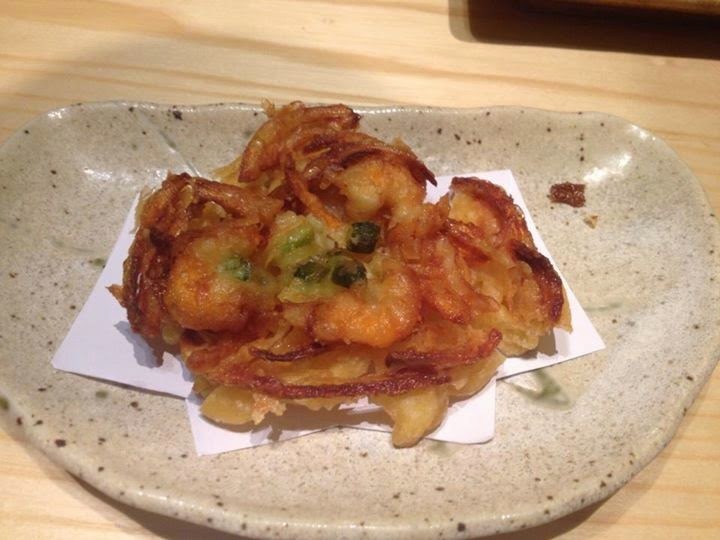 It is also crispy and low oily as compared to prawn pancake i ate before. I really enjoy the taste of it. However, it is kind of expensive for small portion. 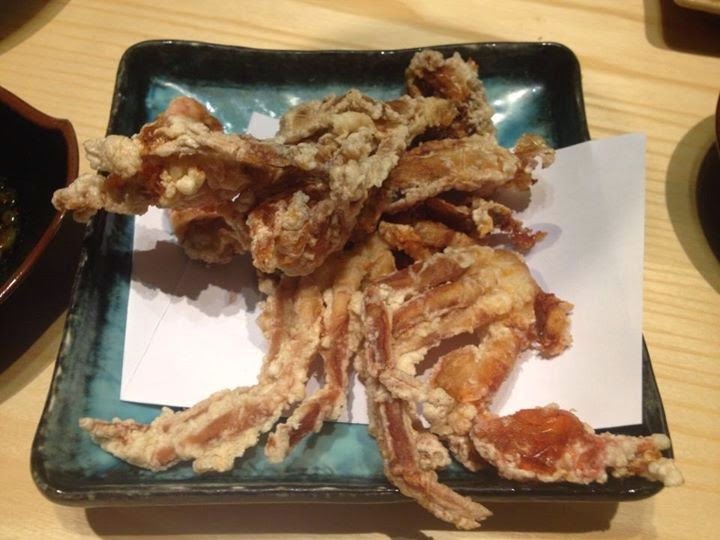 Softshell crab! As usually, they also cut into 4 pieces just nice for each of us. The portion is really quite generous. It is really well cooked and crispy. I also don't feel the oily taste in mouth as I chew on it. It is really a must try dish :) I recommend ordering it as appetizer to eat while waiting for the main course. 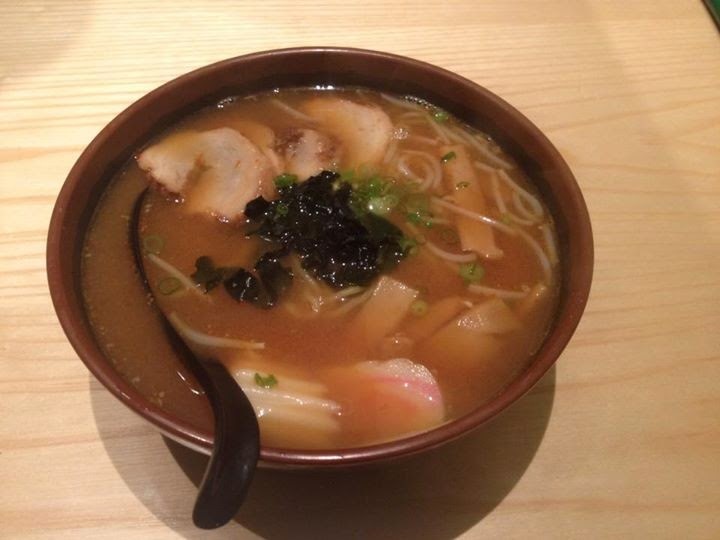 Overall, I feel happy with the food quality and service. Their service really make me feel at home. Their staff are really thoughtful and constantly looking out for customers need. They would automatically fill up the hot tea for the customers. The place is really comfortable and peaceful from the crowd in Jem. The waiting time for the food is also quite fast. I would strongly recommend as a place to catch up with friends.